David R. Keller is Professor of Philosophy and Director of the Center for the Study of Ethics at Utah Valley University. He is co-editor of The Philosophy of Ecology: From Science to Synthesis (with Frank Golley, 2000), and co-author of Ethics in Action (with Peggy Connolly, Becky Cox-White, and Martin G. Leever, Wiley-Blackwell, 2009), a case-based approach to introducing ethics and environmental issues. Part II. What is the Proper Suject-Matter of Moral Philosophy? A Brief Overview of Environmental Ethics: David Keller. Part III. Why Study Environmental Ethics?. Part IV. WHAT IS ANTHROPOCENTRISM?. 2. Humans as Moral Ends: Saint Thomas Aquinas from Summa Contra Gentiles. 3. The Mastery of Nature: Francis Bacon from The Great Instauration. 4. Nonhumans as Machines: Rene Descartes from Discourse on the Method. 5. The Amoral Status of Nature: John Stuart Mill from “Nature”. 6. Nature as Economic Resource: John Locke from “Of Property”. 7. Indirect Duties to Nonhumans: Immanuel Kant from Lectures on Ethics. 8. Mechanistic Metaphysics: Isaac Newton fromOpticks. 9. In Defense of Anthropocentrism: Wilfred Beckerman and Joanna Pasek from Justice, Posterity, and the Environment. Part V. WHAT IS NONANTHROPOCENTRISM?. 11. Walking: Henry David Thoreau from Excursions. 12. The Wild Parks and Forest Reservations of the West: John Muir from Our National Parks and The Yosemite. 13. Is There a Need for a New, an Environmental, Ethic? : Richard Routley from Proceedings of teh XVth World Congress of Philosophy. 14. Attitudes to Nature: John Passmore from Nature and Conduct. 15. Should Trees Have Standing? : Christopher D. Stone from the Southern California Law Review Vol. 45. 16. The Varieties of Intrinsic Value: John O'Neill from The Monist Vol. 75. 17. Value in Nature and the Nature of Value: Holmes Rolston. 18. The End of Anthropocentrism? : Mary Midgley from Philosophy and the Natural Environment. 19. Is the Crown of Creation a Dunce Cap? : Chip Ward. Part VI. WHAT IS THE SCOPE OF MORAL CONSIDERABILITY?. 21. All Animals are Equal: Peter Singer from Philosophical Exchange vol. 1. 22. The Case for Animal Rights: Tom Reagan from In Defense of Animals and “Animal Rights, Human Wrongs”. 23. On Being Morally Considerable: Kenneth E. Goodpaster from The Journal of Philosophy. 24. The Ethics of Respect for Nature: Paul W. Taylor from Environmental Ethics vol. 3. 25. The Shallow and the Deep, Long-Range Ecology Movement: Arne Naess from Inquiry vol. 16. 26. The Heart of Deep Ecology: Tom McLaughlin from Deep Ecology for the Twenty-First Century. 27. The Deep Ecology Movement: Arne Naess from Philisophical Inquiry vol. VIII. 28. Transpersonal Ecology as a Distinctive Approach to Ecophilosophy: Warwick Fox from Toward a Transpersonal Ecology. 29. The Land Ethic: Aldo Leopold from A Sand County Almanac. 30. Conceptual Foundations of the Land Ethic: J. Baird Callicott from In Defense of the Land Ethic. 31. Gaia As Seen Through the Atmosphere: James Lovelock from Atmospheric Environment vol. 6. 32. Kantians and Utilitarians and the Moral Status of Nonhuman Life: James P. Sterba from The Triumph of Practice Over Theory in Ethics. 33. Persons in Nature: Frederick Ferré from Ethics in teh Environment vol. 1. 34. General Ethics: Fox from Developing a General Ethics: An Introduction to the Theory of Responsive Cohesion Part VII. WHAT ARE PROMINENT ALTERNATIVES TO GROUNDING ENVIRONMENTAL ETHICS IN MORAL EXTENSIONISM?. 36. What is Social Ecology? : Murray Bookchin from Environmental Philosophy: From Animal Rights to Radical Ecology. 37. Socialism and Ecology: James O'Connor from Capitalism, Nature, Socialism vol. 2. 38. The Power and Promise of Ecological Feminism: Karen J. Warren from Environmental Ethics vol. 12. 39. Ecofeminism and Feminist Theory: Carolyn Merchant from Reweaving the World: The Emergence of Ecofeminism and Feminism and the Philosophy of Nature: Carolyn Merchant from The Death of Nature. 40. Nature, Self, and Gender: A Critique of Rationalism: Val Plumwood from Hypatia vol. 6. 41. Environmental Virtue Ethics: Sandler from Environmental Virtue Ethics. 42. Continental Environmental Ethics: Vogel, “Nature as Origin and Difference”. 43. Beyond Intrinsic Value: Pragmatism in Environmental Ethics: Anthony Weston from Environmental Ethics vol. 7. 44. The Case For a Practical Pluralism: Andrew Light from Environmental Ethics. 45. Earth First! : David Foreman The Progressive vol. 45. 46. The Ethics of Ecological Sabotage: An Exchange from Environmental vol. 4.
a. “Ecological Sabotage: Pranks or Terrorism?”: Hargrove. b. “Earth First! and the Monkey Wrench Gang”: Edward Abbey. c. “More on Earth First! and The Monkey Wrench Gang”: David Foreman. Part VIII. WHAT ARE THE CONNECTIONS BETWEEN NATURE, CULTURE, SUBJECTIVITY, TECHNOLOGY, AND ENVIRONMENTAL ETHICS?. 48. Subjectivist Environmental Ethics: Elliot from Meta-Ethics and Environmental Ethics. 49. How to Construe Nature: Roger J. H. King from Between the Species. 50. The Trouble with Wilderness: William Cronon. 51. Ecological Realism: Shepard from “Virtually Hunting Reality in the Forests of Simulacra”. 52. Environmental Ethics and the Philosophy of Technology: Rothenberg from Hand’s End. Part IX. WHAT IS THE USE OF ECOLOGICAL SCIENCE FOR ENVIRONMENTAL ETHICS?. 54. Ecology—A Subversive Subject: Paul B. Sears. 55. What is Conservation Biology? : Michael E. Soulé from BioScience vol. 35. 56. Environmental Ethics and Ecological Science: Mark Sagoff from Environmental Ethics and International Policy. 57. The Metaphysical Implications of Ecology: J. Baird Callicott from Environmental Ethics vol. 7. 58. The Ends of the World as We Know Them: Jared Diamond from The New York Times. Part X. 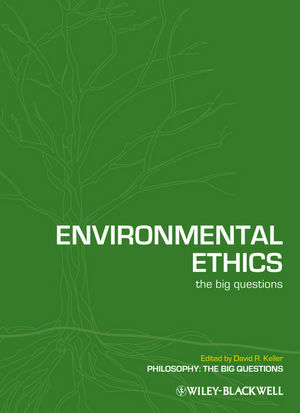 WHAT ARE SOME OF THE ETHICAL DIMENSIONS OF ENVIRONMENTAL PUBLIC POLICY?. 59. An Essay on the Principle of Population: Thomas Malthus. 60. The Tragedy of the Commons: Garrett Hardin from Science vol. 162 and Ethical Implications of Carrying Capacity: Garrett Hardin from Managing the Commons and The Immorality of Being Softhearted: Garrett Hardin from The Relevant Scientist. 61. Impact of Population Growth: Paul R. Ehrlich and John P. Holdren from Science vol. 171. 62. How Poverty Breeds Overpopulation: Barry Commoner from Ramparts vol. 13. 63. More People, Greater Wealth, More Resources, Healthier Environment: Julian L. Simon from Economic Affairs. 64. Population: Delusion and Reality: Amartya Sen from The New York Review of Books. 65. A Special Moment in History: The Future of Population: Bill McKibben from The Atlantic Monthly. 66. Nature as the Measure for a Sustainable Agriculture: Wes Jackson from Ecology, Economics, Ethics- The Broken Circle. 67. Putting Food Production in Context: Toward a Postmechanistic Agricultural Ethic: David R. Keller and E. Charles Brummer from BioScience vol. 52. 68. Environmental Justice for All: Robert D. Bullard from Unequal Protection. 69. Just Garbage: Peter S. Wenz from Faces of Environmental Racism. 70. A Declaration of Sustainability: Paul Hawken from the UTNE Reader. 71. Steady-State Economy: Herman E. Daly from Valuing the Earth. 72. The Triple-Bottom Line: John Elkington from Cannibals with Forks: The Triple Bottom Line of the 21st Century Business. 73. The Ignorance Argument: Bryan Norton from Economics, Ethics, and Environmental Policy. 74. Environmental Justice and Intergenerational Debt: Clark Wolf from Blackwell Companion to Environmental Philosophy. 75. The Environmental Limits to Globalization: David Ehrenfeld from Conservation Biology vol. 19. Part XI. WHAT IS THE FUTURE OF ENVIRONMENTAL ETHICS?. 76. The Future of Environmental Ethics: Holmes Rolston III.